Allegro Upland is located in the heart of downtown Upland, on the west side of 2nd avenue just south of the gazebo. Allegro Upland has been owned and operated since 1998 by its executive chef and founder Alain Fournier. Known for its large archways, high ceilings, and cozy patio, Allegro Upland has been serving the community and small businesses of Upland, Rancho Cucamonga & Ontario for over 2 two decades! So come enjoy our full bar with Italian inspired wines and cocktails, try one of our phenomenal pastries (all made from scratch “in house”! ), and fall in love with our rustic Italian cuisine served with a modern twist. 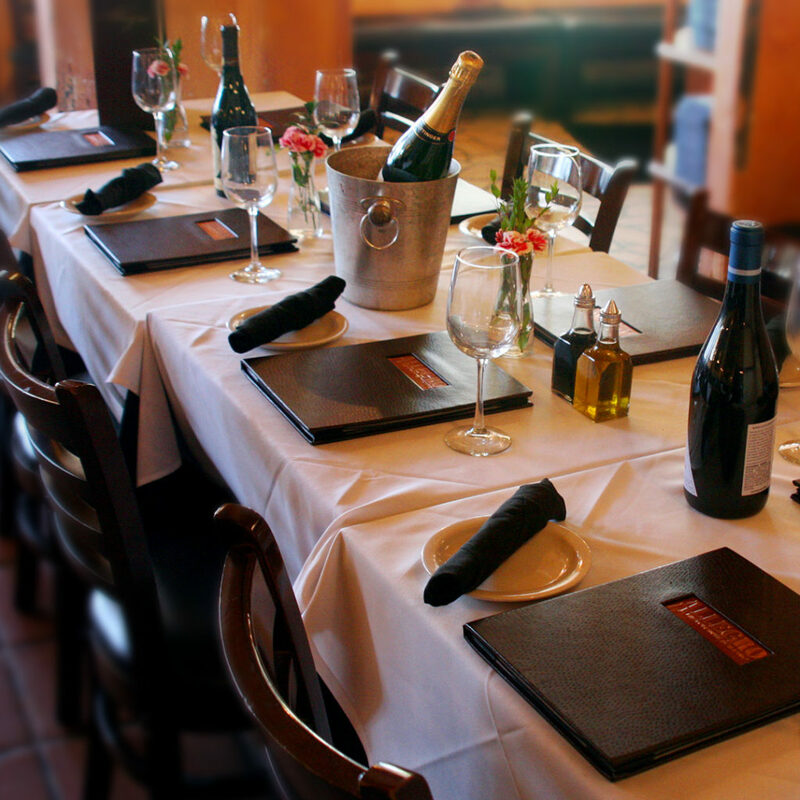 Allegro is the perfect place to host your next event! Are you hosting a cocktail party for your office crew, a formal dinner for your book club, or maybe a major birthday bash? Allegro has the menu to suit your needs! Submit a large party inquiry form through our website, and one of our managers will get back to you with details for your next event! Feeding a big group but don’t want to skimp on quality? 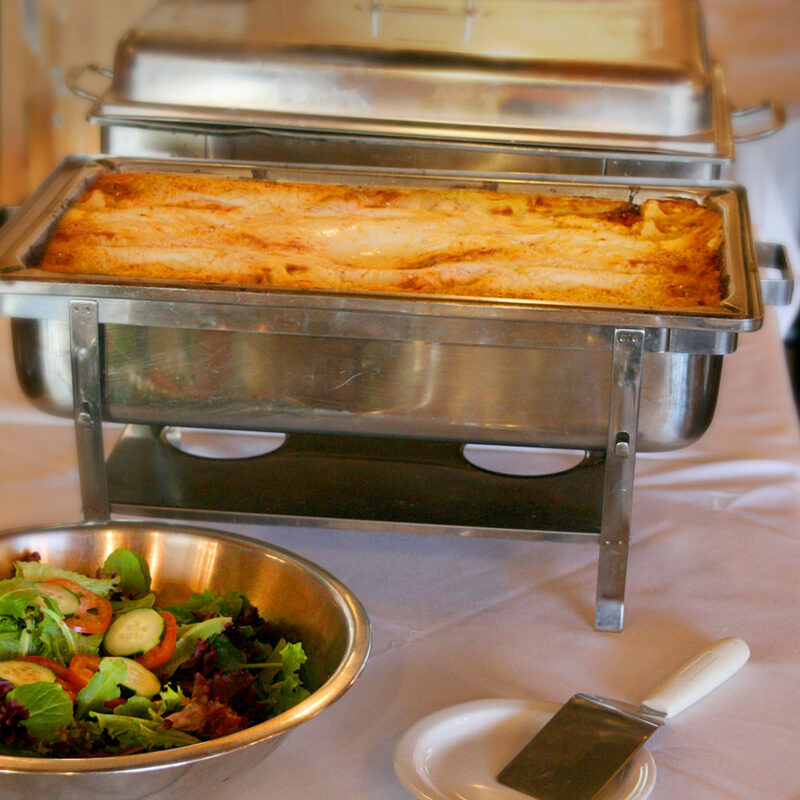 Our catering menu is a perfect fit! Fresh made pastas, time tested sauces, and high quality meats and cheeses make our catering menu a hit at any party! Submit a Catering Request through our website, and we will get cracking on the perfect catering menu to meet your needs!